Living in the south, we drink iced tea year round, but in the colder months my husband and I enjoy a hot cup of tea before bed. We prefer black tea over herbal tea because it just has so much more flavor. 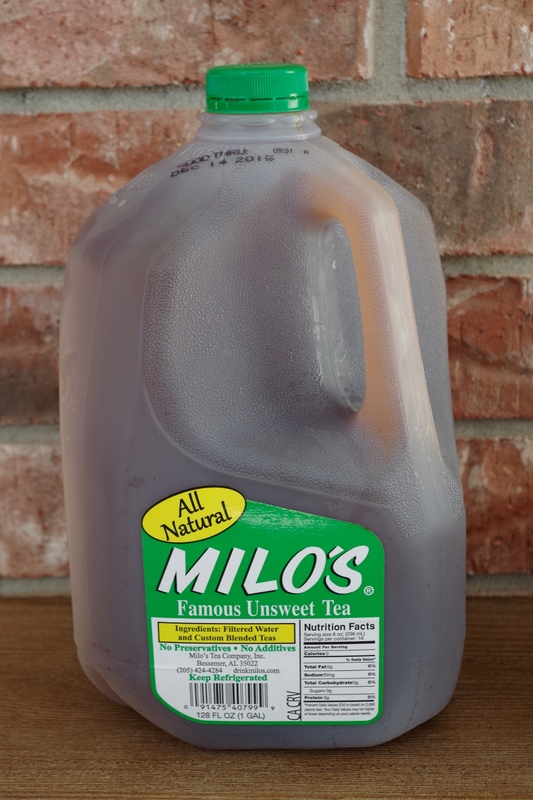 Most of the time we brew our own, but during busy seasons such as the holidays I like to pick up a few gallons of Milo’s Tea to make entertaining easier. It’s the perfect drink to serve at any holiday gathering. I like Milo’s Tea Company because they’re family-owned and use only fresh, natural ingredients containing no preservatives or additives. Read their ingredient labels and see for yourself. You can find Milo’s Tea in the refrigerator section at Wal-Mart available in unsweet, sweet (using pure cane sugar) and no-calorie sweet. 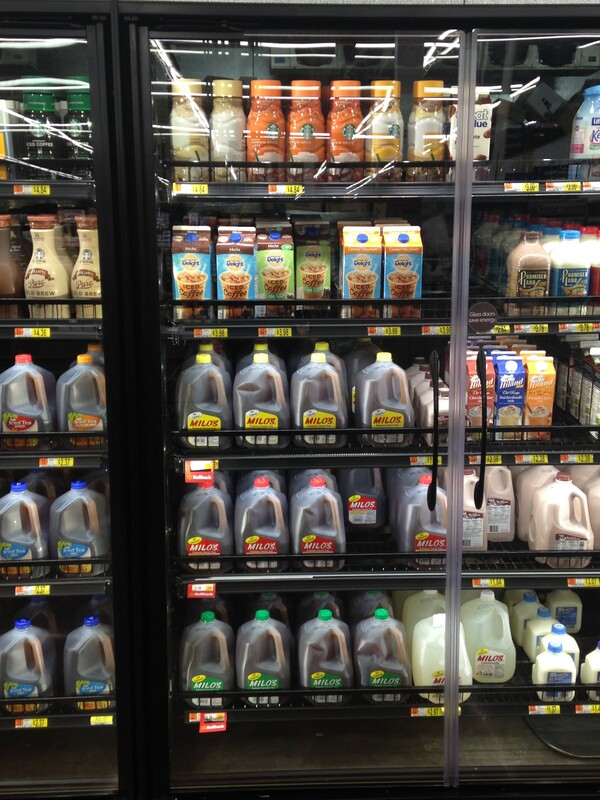 Buy 2 gallons of Milo’s Tea for just $5 on rollback while supplies last. Now that we have the tea part figured out, let’s get to the homemade mix. I absolutely love making my own homemade mixes to give as gifts or to keep in my pantry. 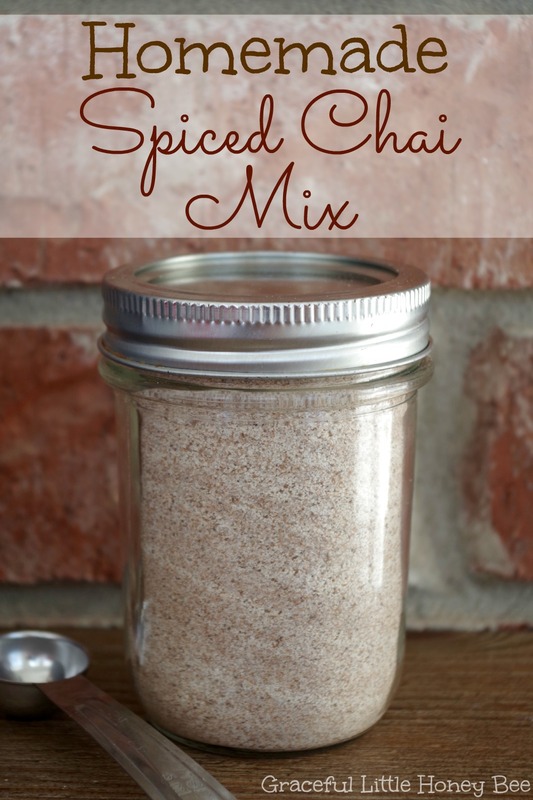 This Spiced Chai Mix is perfect for mixing into hot beverages such as tea. Plus, it would make a wonderful gift for neighbors or friends. I hope you enjoy! Step 1: Process all ingredients in food processor until fine and powdery. Step 2: Place in sealed container until ready to use. To Use: Add 1 tbsp per 8 oz of tea. Do you drink tea as much as we do? I’d love to know! Process all ingredients in food processor until fine and powdery. Place in sealed container until ready to use. Oh yum! This sounds delicious! I've been wanting to make my own chai for a long time, but haven't been able to find cardamom inexpensively. Any suggestions? I know no matter where I buy it, it won't necessarily be cheap, but the prices I've seen a rather crazy high! Amazon has it for fairly inexpensive compared to local stores. I put it in as optional in the recipe because I know a lot of people won't want to buy it. Sorry but just so I understand, when I make a small jar for neighbors, do I have to buy them a gallon of liquid tea? Sorry for the confusion Julia. I would just add a tag to the jar saying to add 1 tbsp per 8 oz of hot tea so that they know how to use the mix, but you don't need to give tea with it unless you want too. I'm a little confused...I add this to already brewed sweet tea? The mix has sugar in it already so you will want to add it to unsweet hot tea. Just tried this in my tea- delicious! Thank you for sharing this recipe! Sorry, but I'm confused, where is the chia in the mix recipe? Did you mean "chai" or "chia"? Chai is a mixture of different spices. There are no chia seeds in this recipe. can you put in coffee? Can you put a sugar substitute or leave it out and add later? I'd like to make this to drink without the tea (actually for my caffeine-avoiding sister-in-law). Would that work? To just add it to hot water/milk? We've got a (really expensive) instant version that is made that way, but I'm wanting to try a homemade option and all the "instant" versions have tea in them, except this one. I'm not sure how good it would be with just water, but milk would probably be okay or herbal tea without caffeine? Hi Carin. Yes , you can. 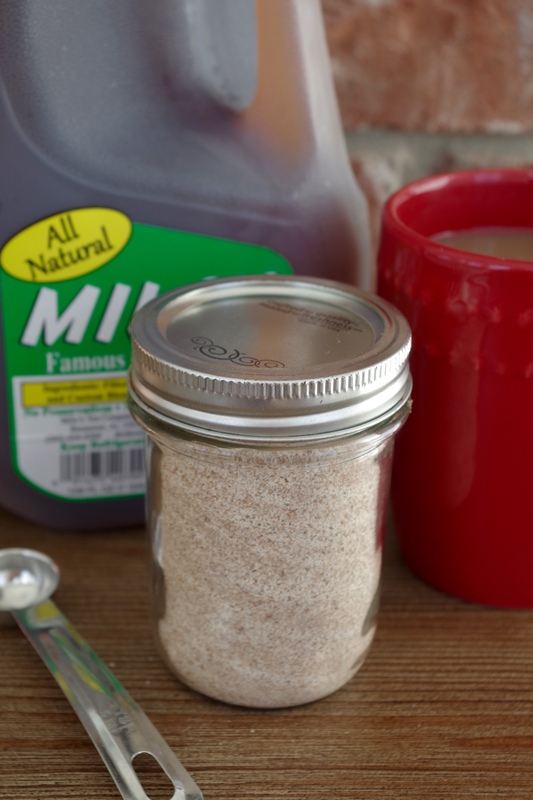 I like 2 teaspoons of the chai mix in a cup of milk or almond milk and heat it well ,in the microwave or on stovetop. If worried about all that sugar, I use 3/4 cup of a natural and very healthy alternative to sugar, called Xylitol. It is more expensive but goes a long way. I am enjoying this as tropical storm Irma passes by. It isn't really dissolving in my tea. Do I need to boil it on the stove? So can I use instant tea with this? I love tea and hate coffee. This is so good. Thank you. 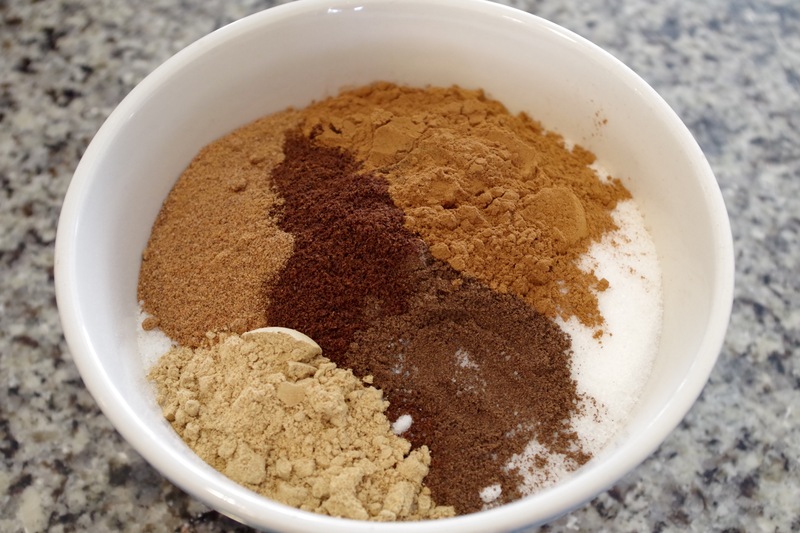 If I wanted to use a chai spice mix in baking (for cookies, scones, etc) would I just leave out the powdered milk? Thanks! I substitute 3/4 cup of Xylitol for the 1 cup in the recipe. Xylitol is a completely natural and very healthy alternative to sugar. When looking it up ,I read that In Finland it is used to make lollies which are dustributed to Kinder children , as it’s good for teeth amongst other things. Xylitol is more expensive than sugar but lasts a long time, I find. I am not a fan of tea, so use 2 tsps of chai mix to a cup of milk or almond milk and heat well in the microwave or on stovetop.Yum latte! If you have an Asian (Indian) grocery store nearby they are a great and inexpensive place to buy spices. especially cardamom. How much per cup of tea if you use Stevia instead of sugar? This is powdered stevia, not the stevia-Erythritol mixture.